With a versatile music taste comes plenty looks of confusion when you tell people who you went to see live and they've never heard of them. So here is a small list of some bands and artists that you guys should definitely check out. My most recent concert, The Dead South are folk/bluegrass band with a distinct sound. A band with no drummer is a risk and can make some music harder to listen to but The Dead South somehow make it work. The band consists of two guitarists and lead singers, a banjo player and weirdly enough a cello instead of a base. If you're into country vibes but want something a little different then The Dead South is a shout. Highlighted songs: "In Hell I'll Be In Good Company," "The Recap," and "Banjo Odessy." Another bluegrass band that my dad and I absolutely love (my dad and I have been to quite a few concerts together, this was one of them) they began by doing bluegrass covers of AC/DC songs, which is how they got the name for the band. Now they do covers of other songs alongside their own music which is just as excellent. Who doesn't want to hear 'Seven Nation Army' played on a banjo? Highlighted songs: "Eye Of The Tiger" and "Bouncin Betty Boogie." It was through Hayseed Dixie that my dad and I discovered the Norwegian band Katzenjammer. As we were buying tickets for Hayseed Dixie an advertisement for this band popped and as we're naturally curious we clicked on it. Cue our minds being blown by four women who play 26 different instruments between them. Best described as folk/rock/pop fusion, Katzenjammer are truly unique with their music and to this day the best concert I have ever attended. They thrive in a small venue that really showcases their sound. Highlighted Songs: "God's Great Dust Storm," "A Bar In Amsterdam," and "Demon Kitty Rag." I'm honesty unsure of how my dad and I discovered the country/rock band Blackberry Smoke but we definitely don't regret it. With a sound that wouldn't go amiss in the 1970s when the genre was at its peak they make some great riffs and the lead singer has a pretty distinct voice. Live they are pretty sound, however seem to pull a bit of an older crowd so watch out youngsters if you go to see them, you'll most likely be the youngest there. Highlighted songs: "Waiting For The Thunder," "Like An Arrow," and "Too High." 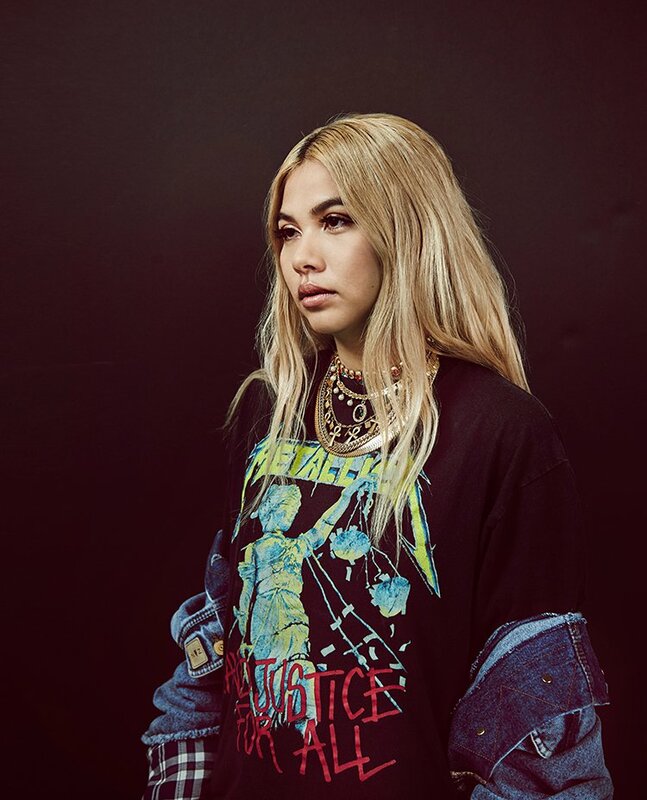 The first pop artist on here Hayley Kiyoko may also be known as "Lesbian Jesus" as she is one of the first openly gay singers to truly sing using female pronouns. As of the moment she only has one album but it's a pretty great album. She doesn't shy away from her sexuality and has become an icon and inspiration for many members of the LGBTQ+ community and now it's practically a gay right of passage to listen to Hayley Kiyoko. An excellent dancer and talented musician too, girl's the whole damn package. Highlighted songs: "Girls Like Girls," "Sleepover," and "Wanna Be Missed." Possibly the most well-known artist on this list, at just nineteen years old Sabrina Carpenter already has three albums under her belt and is set for a bright future. Her recent album was the first time I actually listened to her music and I was pretty damn impressed. Pop with an edge of R&B, Sabrina Carpenter snuck up on me with her impressive lyrical content and epic beats. She's also the only artist on the list I've never seen live, but who knows what the future holds? Highlighted songs: "Paris," "On Purpose" and "Bad Time." The support act when I saw Justin Timberlake live, The Shadowboxers are an interesting mix of pop and funk music and this is what really caught my eye which is unusual for support acts. Their music is pretty catchy but they seem to be slept on a lot so please go check them out. Highlighted songs: "Hot Damn!" and "Build The Beat." In order: The Dead South, Hayseed Dixie, Katzenjammer, Blackberry Smoke, Hayley Kiyoko, Sabrina Carpenter, and The Shadowboxers. A film and media student with a love of travel and all things Disney.